Resource > 4K Media > How to Rip 4K UHD Blu-rays? Summary: How to rip 4K Blu-rays for backup or for watching without using a UHD Blu-ray player? Here we recommend you a powerful UHD ripper and show you how to use it to rip 4K Blu-ray. 4K is slowly but surely becoming the format of choice for movies lovers who appreciate quality over everything else. This isn’t really surprising considering that 4K videos offer a level of detail unmatched by any other format that came before. However, what may seem surprising at first glance is the fact that not everybody is opting for 4K in spite of its benefits. Well, the truth is that most movie lovers would definitely prefer to switch to the new format but unfortunately 4K UHD Blu-ray movies require a specialized player, which is pretty expensive. In other words, you can’t simply take a 4K movie and play it using a regular Blu-ray player. So what do when you want to enjoy a high-quality movie in 4K but don’t have a device capable of playing such movies? The most obvious answer would be to simply buy a compatible player, however, you might not be ready to make that investment right now. If that’s the case you’ll be happy to know that there is another option available because it’s possible to rip 4K Blu-ray discs and watch them on one of your existing devices, such as a 4K UHD TV or monitor for example. This way, you won’t have to spend a ton of money on a new player. All you really need is a good 4K Blu-ray ripping software and we just so happen to know the perfect one. The software in question is called DVDFab UHD Ripper and it is the ideal choice for ripping 4K UHD Blu-ray discs fast and easy. The software is able to rip 4K Blu-ray movies to a variety of different formats in order to satisfy even the pickiest of movie lovers. There are a total of six different conversion profiles to choose from, including MKV Passthrough and M2TS Passthrough. We recommend one of these two formats if you’re looking to preserve the video quality of the original. The other formats can be used to shrink down the original file to a more manageable size at the cost of a small decrease in quality. The difference in quality is very slight so the other formats are a good choice when you want the best possible quality packed in a smaller file size. In addition, if your playback device is capable of handling HDR10, you’ll be happy to know that HDR10 video quality remains intact when you convert a movie using DVDFab UHD Ripper. Alternatively, this 4K Blu-ray ripping software can convert HDR10 to SDR while preserving as much of the original quality as possible. Another great feature of this 4K Blu-ray ripping software is its ability to get the job done a lot faster than you would expect. 4K UHD Blu-ray discs are generally over 50GB in size and because of that, it can take many hours to convert such a movie using most pieces of software. However, DVDFab UHD Ripper uses cutting-edge hardware acceleration technology that can reduce the waiting time to only about an hour or so. That said, you do need a pretty decent system if you want to rip a 4K Blu-ray disc in such a short amount of time. Ideally, your system should include at least an Nvidia GeForce GTX 1050 series and an Intel Kaby Lake CPU or AMD equivalent to get the best conversion speeds. How to Rip 4K Blu-ray? Now that you’ve learned more about the software it’s time to take a look at how it can be used to rip 4K Blu-ray discs. The conversion process is actually quite straightforward but we’re going to do a quick step-by-step guide so we can better demonstrate how it works. 1. Open DVDFab and select the Ripper module from the top menu. Insert a 4K Ultra HD Blu-ray disc and the software should automatically load it in.Or you can also click the “+” icon to load the 4K Ultra HD Blu-ray folder or ISO file. 2. Go to the Profile Switcher found in the upper left corner to the select the desired format. Make sure to use the available filters if you’re looking for a very specific format. 3. Before you rip the 4K Blu-ray movie you may want to first customize it using some of the available options. For example, you can rename the output, pick the titles you want to rip or add audio tracks and subtitles. You can also use the Advanced Settings and Edit options to make additional changes like adding watermarks, cropping or trimming the video and changing the aspect ratio or the resolution, among others. 4. Click the folder icon found towards the bottom of the menu to change the default destination if necessary. Once you’ve made all the necessary changes you can rip the 4K Blu-ray movie by simply clicking the Start button found in the lower left corner. As you can see, it’s not absolutely necessary to buy a new player if you want to enjoy 4K UHD Blu-ray movies at home. You can achieve virtually the same results using 4K Blu-ray ripping software, which is obviously a much cheaper option than buying a new player. 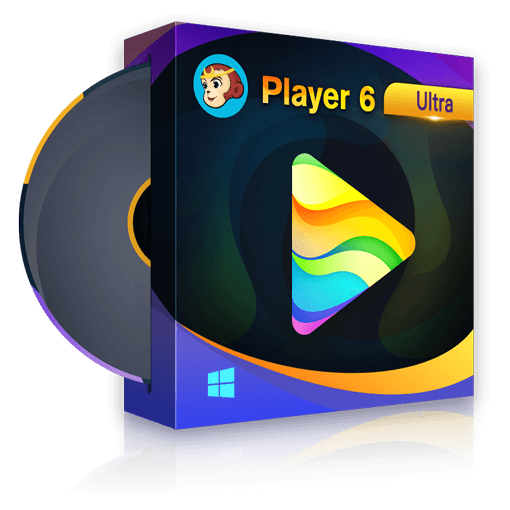 In addition to excellent video and audio quality, DVDFab UHD Ripper also provides you with plenty of tools that allow you to customize files to suit your specific needs.